Using too many Health Apps? Consolidate with Capzule. Stored locally on your device. Data in your full control. Save & restore backup. Import & export files. Data is stored locally on your device. No web service or internet connection required. Access to emergency information in QR code and text forms when password protected. Edit information directly or from any computer over Wi-Fi. Easily Backup and Restore data. App you would keep forever. 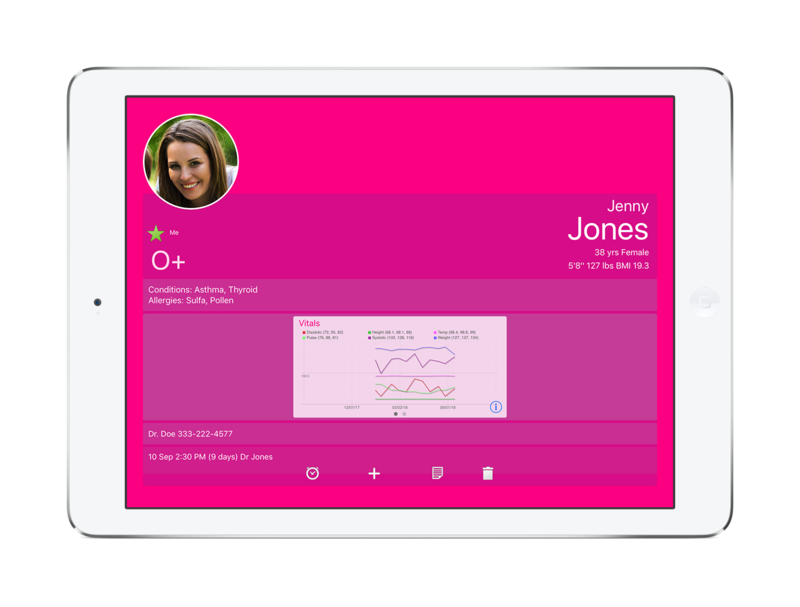 Create personal sets of health monitoring templates to record variations in health conditions, progress of health goals, and other observations. 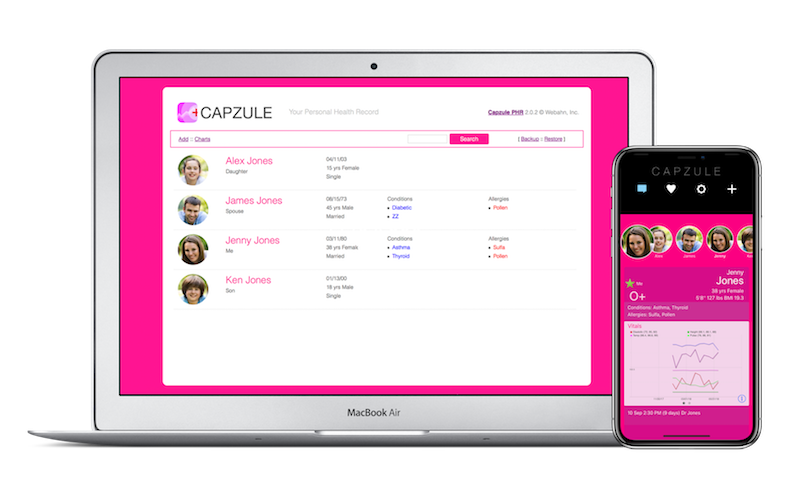 Now you can replace all those health apps you have for tracking individual conditions with Capzule PHR. Share with family and physicians. Share data between devices over Wi-Fi. Family members can carry a copy on their iPad, iPhone, or iPod touch. Email data and graph to your physician. Connect, edit and upload files. Edit records and transfer files to Capzule PHR over Wi-Fi using any computer browser. Enable password protection while on public Wi-Fi spots, such as doctor's office or hospital. Visualize health data to analyze and compare data and events for any given period of time. 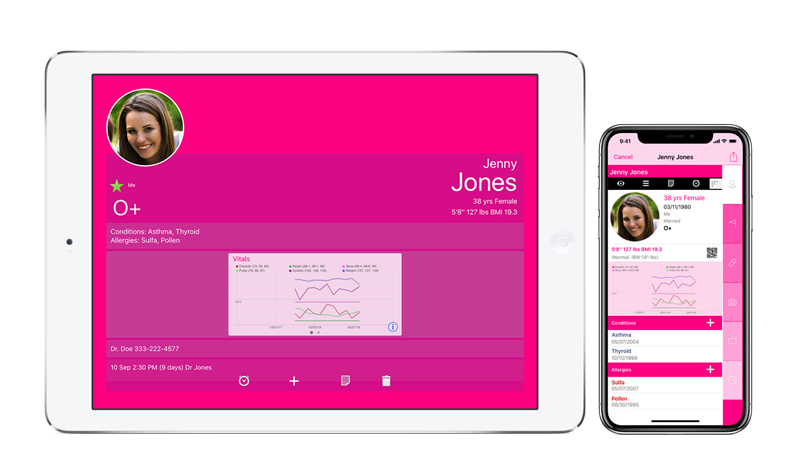 View files, appointments and medications from the Timeline. Scan documents using camera (or select images from device) and save as PDF files. 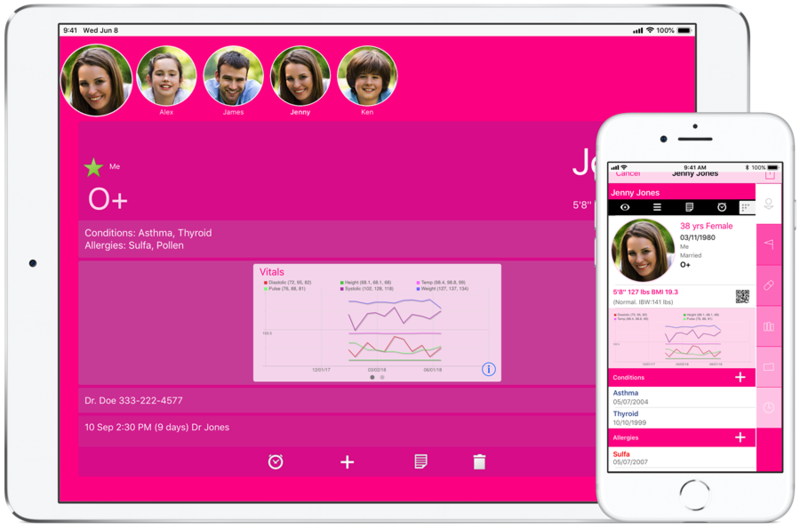 Easily share data between devices of your family members. Capzule PHR © 2019 Webahn, Inc.